Boston's dagger came on a three-run home run from Eduardo Nunez in the bottom of the seventh inning. Nunez walked up to the plate to face Dodgers reliever Alex Wood with two outs in the frame. He took Wood deep to left field for a 373-foot shot with an exit velocity of 107-mph, according to Statcast. 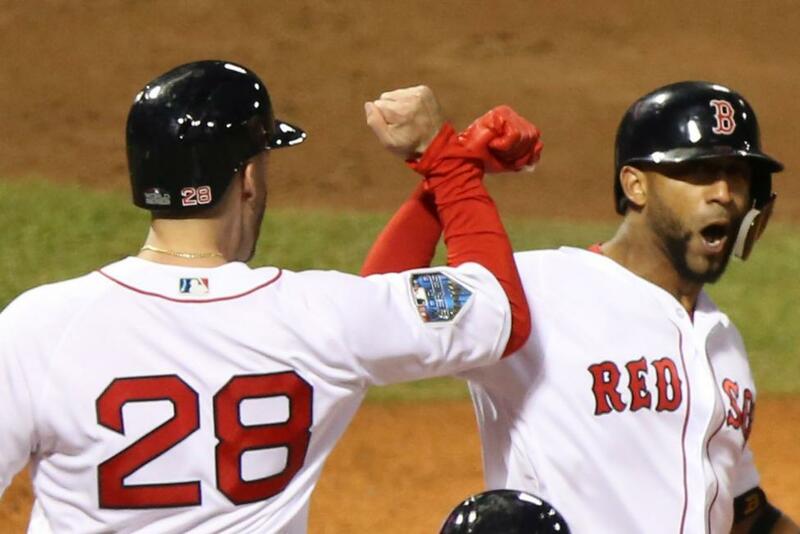 The bomb gave Boston a four-run lead, which it would not surrender. Andrew Benintendi went 4-for-5 for the Red Sox. Ace pitchers Clayton Kershaw and Chris Sale were chased from the game in the fifth frame, with the Dodgers star allowing seven hits and five runs. Sale surrendered five hits and three runs, but the Red Sox bullpen allowed just three hits and one score over the final five innings. Dodgers slugger Manny Machado went 1-for-3 with three RBIs in the loss. Benintendi hit an RBI single off of Kershaw in the bottom of the first inning to give Boston a 1-0 lead. J.D. Martinez brought in the Red Sox's second run with an RBI single in the same inning. Matt Kemp attempted to bring the Dodgers back, cutting the deficit in half with a solo home run in the top of the second frame. Machado plated Justin Turner to tie the game at 2-2 in the top of the third inning. But J.D. Martinez ripped an RBI double in the bottom of the third frame to give Boston a 3-2 advantage. Machado would the game again for the Dodgers with an RBI ground out in the top of the fifth inning, but then to Dodgers started piling on. Xander Bogaerts brought in Mookie Betts when he grounded into a force out in the fifth frame, giving the Red Sox a 4-3 advantage. Rafael Devers made the score 5-3 with an RBI single later in the inning. Machado plated another Dodgers run with an RBI sacrifice fly in the top of the seventh inning, cutting the deficit to one run once again. But this time the Dodgers couldn't rally. Wood gave up Nunez's three-run bomb in the bottom of the seventh inning. That shot gave the Red Sox their final four-run advantage. Game 2 of the 2018 World Series is set for 8:09 p.m. on Wednesday in Boston.